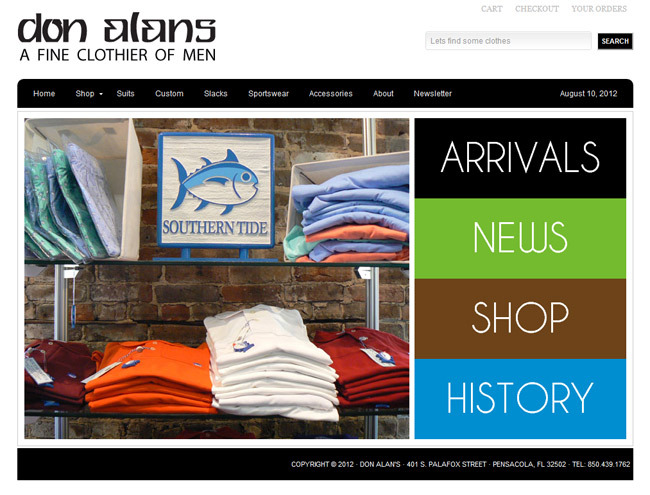 Don Alans Menswear wanted an updated look for their traditional men’s clothing store. The company had this really cool painting that was done of the front of the store, and had implemented it on their business cards. The clean white space made the painting really pop, so I thought we should translate that into their new website.